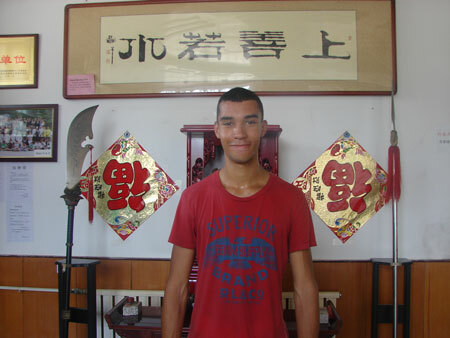 I chose China to study kung fu in China in order to understand the art through my experience of it. 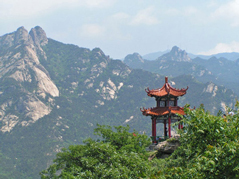 My main motivation that brought me here was Chi Kung, I love everything about it and I hoped to learn more about it when I got here. But my main purpose for coming is personal growth. It is my first time leaving the UK by myself, I came here at the age of 19 and now I’m leaving at the age of 20 and the timing couldn’t be better. My greatest gain here was the understanding of my strengths for weakness; how to improve them through various exercise for how to maintain the improvements I gain. All of my classes I enjoyed, ones in particular are power training, Chi Kung, taiji, power stretching for acrobatics. 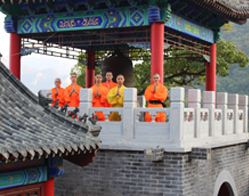 Shaolin is a great option if you want to acquire; fighting skill, ability and fitness. 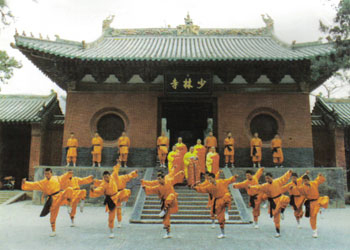 I don’t just see shaolin as martial arts; I see it as a lifestyle. My master has influenced me greatly not by just his teaching of Kungfu but by his entire personality. He is a kindhearted soul with amazing abilities, to lead by example he is a greatest master. 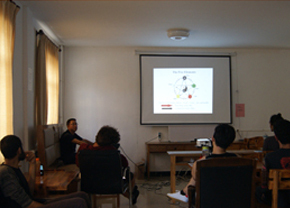 He stresses the point that we showed keep a good habit of lifestyle, train persistence and rest well. No pain, no gain. Mentality really helped me improve. Also the students/my peers are so helpful when it came to training and when you wanted /needed someone to talk to. 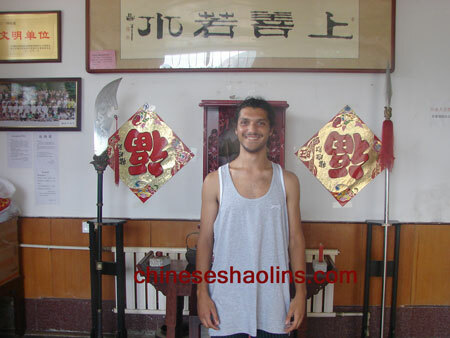 My shaolin training was the best part of my experience due to thrill of training and the hunger to learn more. Also seeing me improve is a good feeling. The accommodation on-site here is great for its convenience, you never late, for you’re never have an excuse to be. Although it all depends on what you are looking for out of your accommodation.If you are looking for a loaf over your head with a bed to sleep on, and the convenience for training, then this place will be just fine for you. The food here is good, never less, its taste most of the time for your training. Translators are extremely friendly and very helpful. Without them, this place wouldn’t cope. So very grateful for their presence. 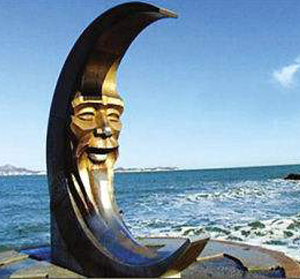 The surrounding is beautiful, and feels peace when I gaze at it. 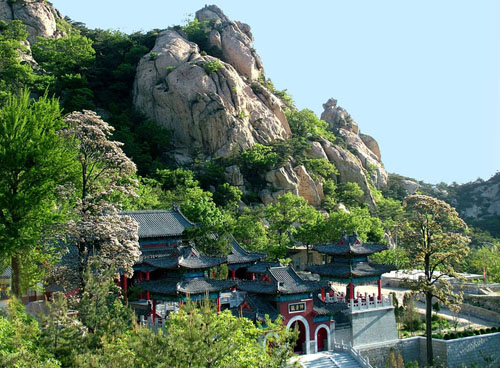 I feel pure bliss when climbing the mountains here. Very high vibration in the mountains and feel honored to have it on my doorstep. 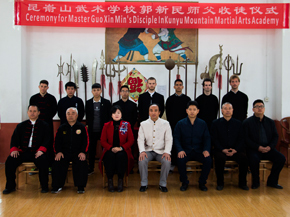 I wanted to learn this art in the place where it was born with true Shaolin kung fu masters,then,I chose kunyu mountain academy.During short term training,I improved a lot for my physical and mental condition, also the values and morality of Kungfu. My master, of course, and my friend from last year in Kunyu, all the staff and all the masters,helped me a lot on training and living. 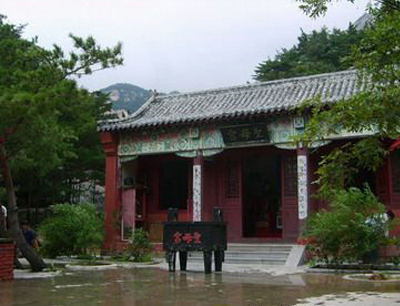 The surroundings of kunyu academy is beautiful, and quiet, peaceful for training and meditation.